Obviously, I had to do it. So, after an epic quest for the pattern, I got to work. It only took me 2 days to knit the whole thing. Magical! I texted Kristin when it was almost done and told her that if I finished with enough time left over (I’m seeing her on August 28th for a ROAD TRIP!) I would knit one for myself and we’d be super twinz, arriving to Cincinnati in STYYYYLE. Mine is going to be in yellow, of course. 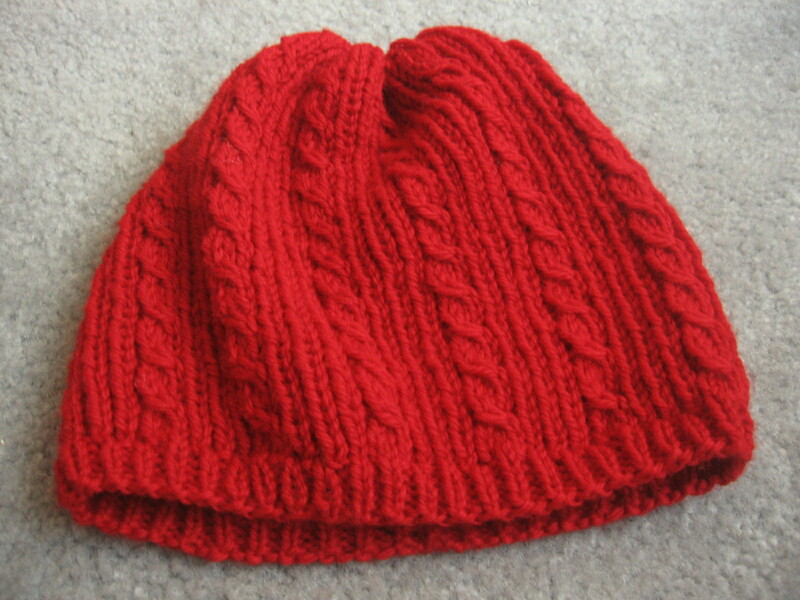 I finished the hat late Sunday night, after Kristin and I had been on Skype. 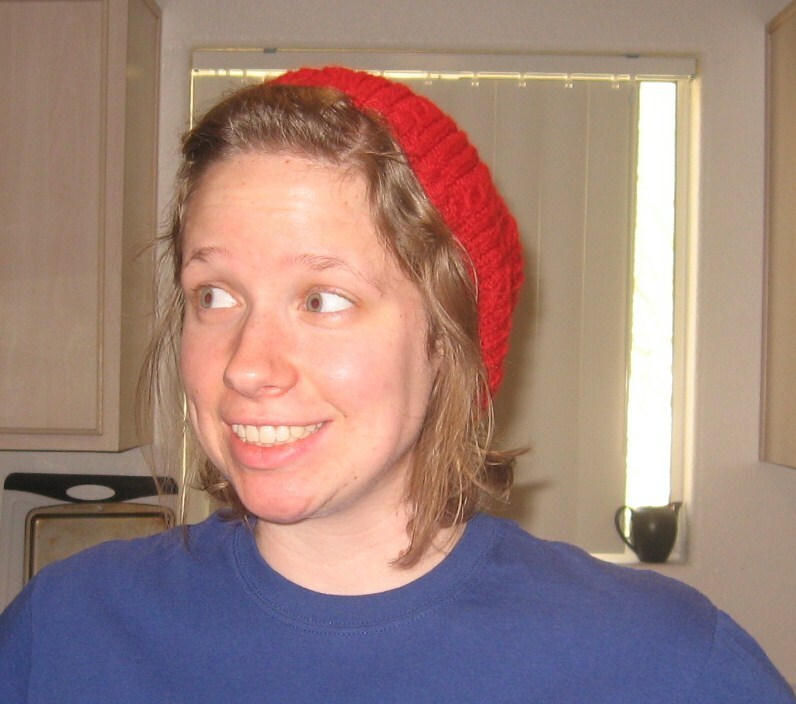 I showed her the hat when it was in its final stages, and she seemed to love it, which makes me super happy. As soon as I finished it, I put it on and took pictures. 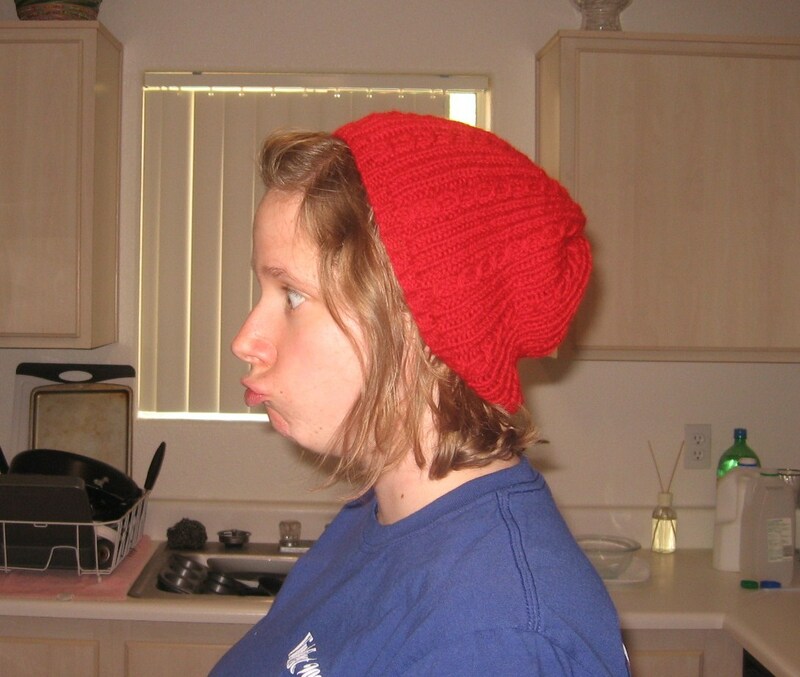 I have never really been a slouchy-hat-girl, but I couldn’t take this one off! It just reinforces my desire to knit one for myself. And here comes my ridiculous face. This hat was a lot of fun to knit, but I think mine will have different cables on it. I’m toying with the idea of using the cables from the Irish Hiking Scarf, but I haven’t made any concrete decisions yet. Except for the color.